and tortured not a few. 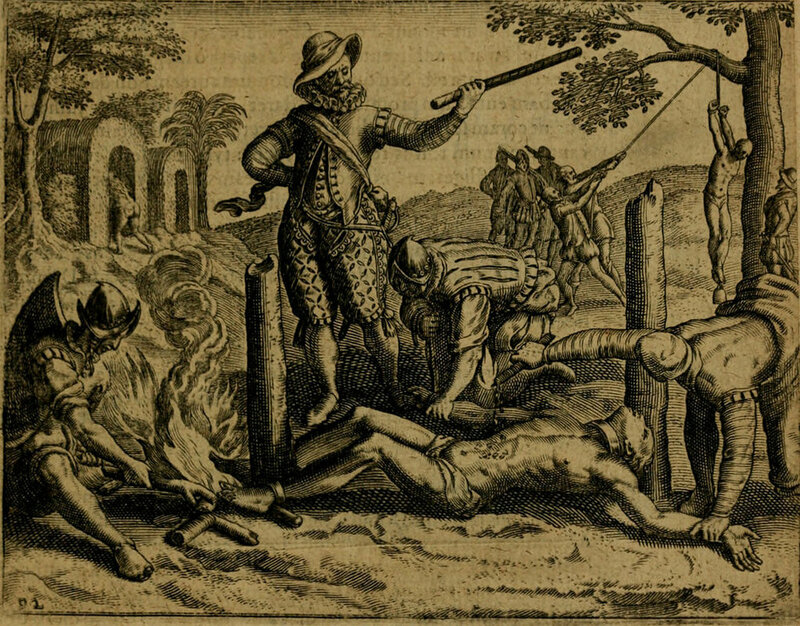 Images from the work of Theodor de Bry, who illustrated the work of Bartolomé de Las Casas. Las Casas, according to historian Howard Zinn, is "the chief source--and, on many matters the only source--of information about what happened on the islands after Columbus came.... as a young priest [he] participated in the conquest of Cuba. For a time he owned a plantation on which Indian slaves worked, but he gave that up and became a vehement critic of Spanish cruelty" (Zinn, A People's History of the United States, 5).